Step 1- Preheat the oven 375F. Season the salmon with a pinch of salt and pepper. Bake the salmon for 15 minutes in a baking sheet. Meanwhile in a small bowl, add all the dressing ingredients. Step 2- Whisk all the ingredients well. Step 3-In a medium-sized bowl, mix the salad ingredients together. 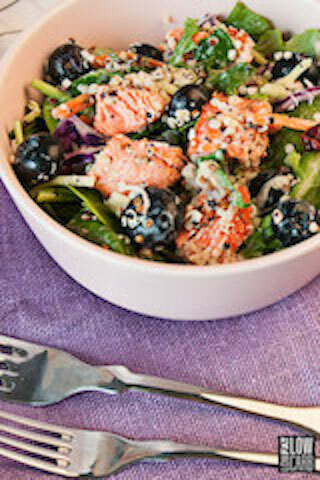 Step 4- Top the salad mix with the salmon and drizzle the dressing.